HOLLYWOOD, Oct 12. Frank Capra has been wrestling with that perennial movie problem of how to make heaven look realistic, and thinks he has it solved. But he’s not telling anybody . 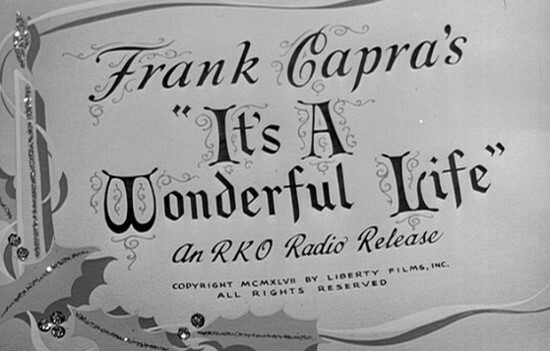 he’s ordered the crew and five members of the cast of “It’s a Wonderful Life” to report Tuesday on a bare sound stage to photograph his version of heaven. But he’s swearing everyone to secrecy and the bare stage is the only clue. He hinted however that his version is different from “Here Comes Mr. Jordan” and “Down to Earth.” In which dry ice was used to produce cloud effects. Well we know of course that his decisions worked pretty well. We were not showcased to a generic and cheesy cloud puffy version of heaven but a skilled unique view of the stars as the heavens. It seems that we can guess that the members of the cast he had report were those of the angels and perhaps some of the actors who's voices we hear as the opening prayers. Also, we know that the secret of using a bare stage is solved in that he just used the simple star map with voices rather that some kind of set. As a lover of every second of the film, this opening always struck me in many ways. It's funny and it's kind. I've also always been struck by how Capra makes the point that everything is part of a plan. 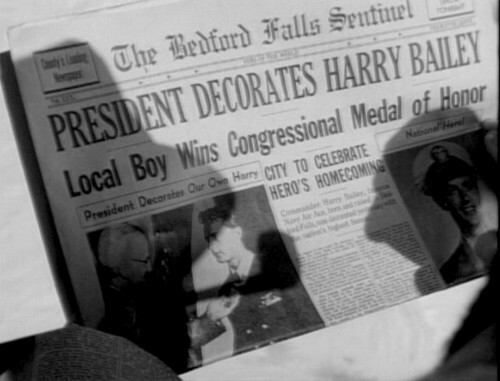 for a man named George Bailey. Tonight's his crucial night. You're right. Heavens plan for George and through him we understand and can relate to our own lives. Those few lines, are both reassuring and encouraging. Also, notice in the section to the left of the film reference an article promoting a new fangled idea ... Bookmobiles for libraries! The full page also mentioned blurbs about occupied Germany regaining some kind of vote for the first time and another mentioning the Bank of the Soviet Union becoming the largest in the world. I hope to post little articles concerning the film on the blog from time to time and break up my tour of each village piece throughout the year. Thought I would start with one concerned with the making of. 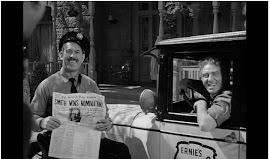 1946 ... what a wonderful time!